It's summer. It's going to be hot. But next week is going to be especially hot. A large area of high pressure is going to move into the middle of the country early next week, and it doesn't look like it's going anywhere for most of the week. That high pressure system is going to prevent any rain showers from cooling things off and leave skies wide open for a lot of sunshine. 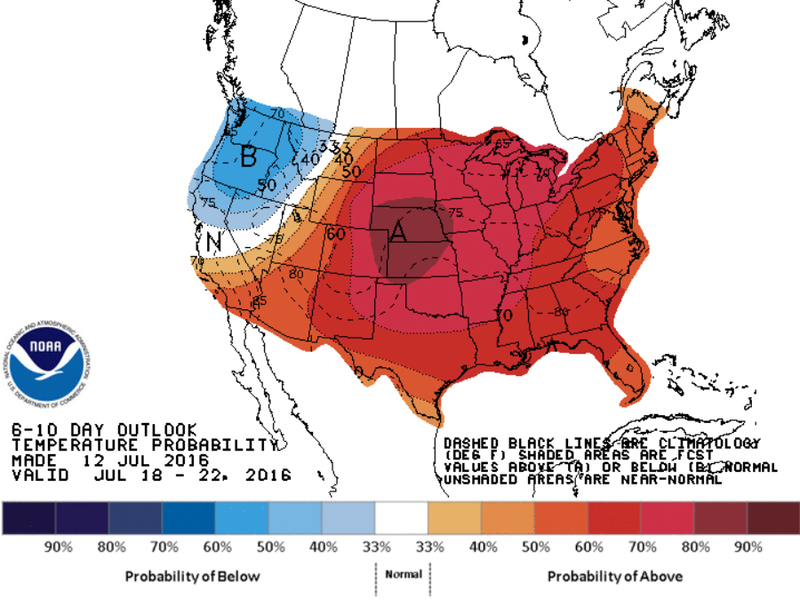 Both of these things mean the heat will just keep building in the middle of the country and spreading out toward the Rockies and the Midwest. In fact, unless you're in the Pacific Northwest or inland Alaska, it's going to be hotter than usual throughout next week. Some places are likely to see temperatures hitting triple digits. Get the Storm Shield App for iPhone or Android device for the latest heat advisories and excessive heat warnings.